The Apple is sweet, much sweeter than I had eaten before. An Indonesian consumer gave the sweetest comments after trying out a sample of the popular apples brought by OSell. This bodes well for the first time to bring upwind apples to Indonesia, a market that is not short of fruit but temperate fruit. World Apple looks at China, Chinese Apple looks at Shaanxi. In 2017, the world's total Apple output was more than 76 million tons, of which Shaanxi's output reached more than 11 million tons, accounting for one-seventh of the world's total. This means that one in seven apples is produced in Shaanxi; Every three cups of apple juice have 1 cup from Shaanxi, and the fruit juice exports are the highest in the world. 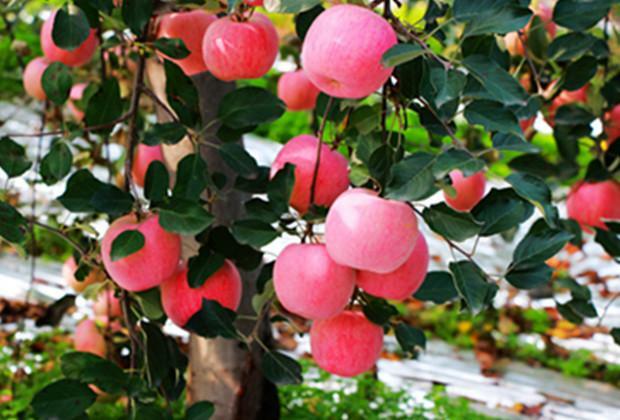 Fufeng Apple is the leader of Shaanxi Apple. 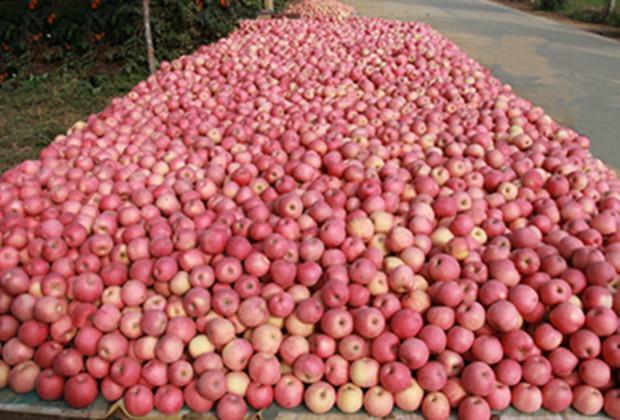 Fufeng County is a national high-quality Apple production base county. The Apple planting area is more than 100,000 Mu, and the annual output is 200,000 tons. The average annual fruit industry income is more than 250 million yuan, and the annual income of more than 100,000 yuan is everywhere. In 6 towns such as Nanyang, 6 million Mu of green Apple base was built, and successfully passed the National green food certification, ISO9001-2000 quality system, EU URGPG base certification, so that Fufeng Apple entered the European Union, Russia, Vietnam, Thailand and other markets. In 2018, Dragon Factory under the OSell Group formally signed a cooperation agreement with Fufeng County. The two sides reached an agreement on the Fufeng Cross-border Industrial New City project. Dragon Workshop will rely on the local industry and overseas market conditions in Fufeng County to provide cross-border e-commerce services to Fufeng County to help local companies go out. 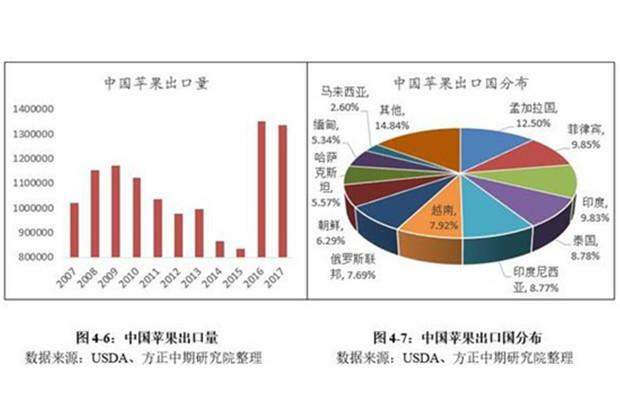 Indonesia is one of the export targets of Fufeng Apple. In recent years, the Indonesian Apple market, despite the ups and downs due to trade policies, is still an important overseas market for Chinese Apple exports. For fufeng fruit industry, Indonesia is still a virgin land to be explored. After an in-depth survey of the Indonesian market, OSell made a decision to help Tongxing Fruit Industry explore the Indonesian market. "Fufeng Apple" is known for its excellent quality, beautiful fruit shape, bright color, sweet and refreshing, mellow flavor, high hardness, and storage and transportation quality. In order to strengthen the Apple industry, this year the county, in line with the principle of "being superior, being strong and being refined", took pains to integrate "fruit, animal, Marsh, grass and net", completed a large-scale transformation of 5,000 acres to a high standard, and built a demonstration park of 1,500 acres, supporting 1,180 pigs. More than 990 biogas pools were built. At the same time, Fufeng has continued to increase infrastructure construction, building 108 large fruit banks with a storage capacity of 100,000 tons, making it the county with the most concentrated fruit bank in the Northwest. Fufeng County gave full play to the role of leading enterprises and vigorously promoted agricultural industrialization. Since its successful export to the European Union last year, it has increased sales and recently exported 200 tons of apples to the United Kingdom, New Zealand and Saudi Arabia. Fufeng Apple successfully entered the world famous enterprise, the US Walmart supermarket. Tongxing Fruit Industry was established in 2000. It is a member of the China Fruit Circulation Association. Relying on the advantages of Northwest Agricultural and Forestry University, it adopts science and technology as its policy and has strong product competitiveness. It is a collection of fruits, vegetables, purchases, sales, storage, and exports. One of the trading companies, Has rich traditional foreign trade experience, mainly exported to Russia, Kyrgyzstan, Kazakhstan, Eastern Europe and other countries. he fruit varieties currently operating for export are: Red Fuji, Qin Guan series(Qing Qin Guan, Bai Qin Guan, Red Qin Guan), Huangyuanshuai Apple, flower cow Apple, pear, Kiwi, Plum, Nectarine, pomegranate and so on. Vegetables include tomatoes, carrots, cucumbers, eggplants, onions, and peppers, which are a total of six varieties. Together with OSell, the relevant person in charge of the fruit industry said that OSell will closely unite with OSell to explore new markets through overseas channels of OSell, and through cross-border e-commerce in markets along the Belt and Road. 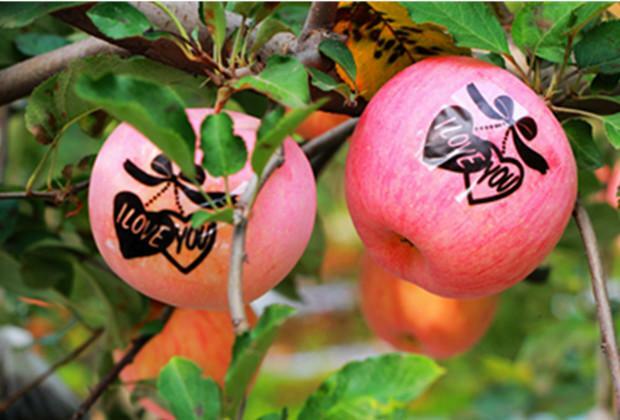 To build a new platform for the development of local industries and help Fufeng Apple to enter the world.